The main change of the new version is an ability to customize the line styles for the volatility skew: model lines and markers. Also we continue to improve the functionality of Option Workshop and fix some bugs. 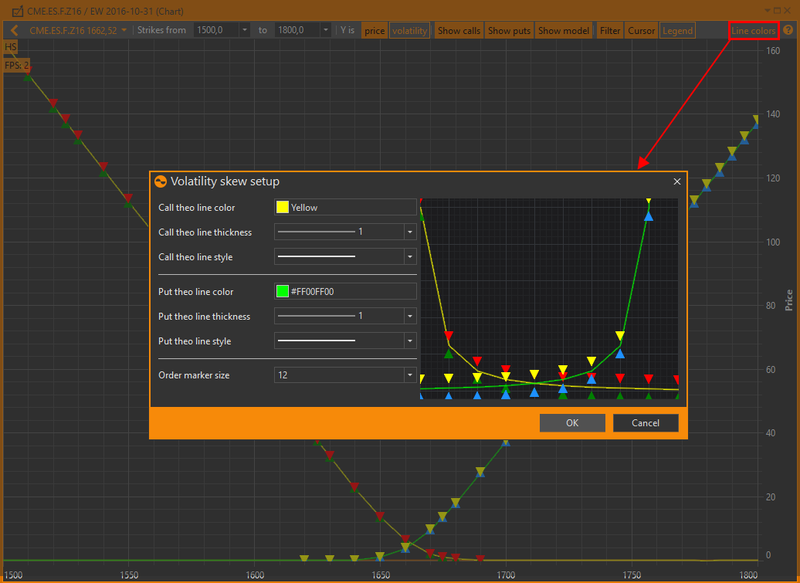 In the new version you can customize the volatility skew: select the color, thickness, line style (solid, dashed, dotted, etc.) and the size of the orders price markers. The last set parameters will be applied to the new chart. Now when you change your what-if scenario selection the strategy chart’s zoom settings are not reset. We have improved Option Workshop’s ability to copy tables to the clipboard. We have unified the way that tables are copied to the clipboard. Also tables are inserted from the clipboard to Excel with the original formatting of decimal numbers preserved. We have added a reminder of your license expiry. This notification appears once a day for a week before the expiration of the license. Error when opening the column selection window for the first time in a session. Crash when starting Option Workshop. Error in the Orders manager interface. Error with displaying a notification from the transport. Item duplication in the strategy chart settings window. Improved Spead Desk’s performance on ATM strike change. Issue when shifting “excluded from the calculations” positions. Incorrect update of a what-if scenario list when renaming a scenario. Fixed chart axes dragging behavior.